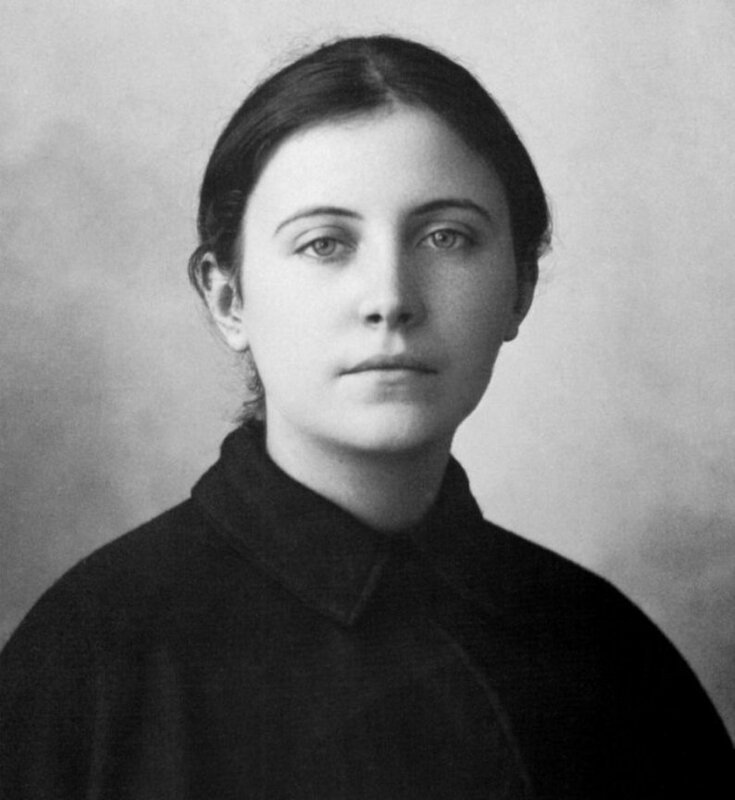 This photograph is of Saint Gemma Galgani (1878-1903), a famous mystic who lived in the enchanting town of Lucca, Italy. Her countenance is impressive for several reasons. First, we note her profound reflection and the harmony of her traits. Second, the saint’s gaze has something elevated and sublime about it. Her thoughts are not of this earth: her countenance displays a supernatural aura. Her dignity and angelic purity are striking. This is seen by the way her head rests on her shoulders: straight and unpretentious. 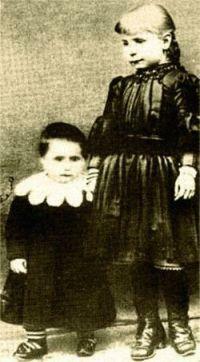 St Gemma Age 7 with her younger sister Angelina. She wears no adornment at all. Her hair is simply combed and arranged. Her face is very clean and reveals nothing of a desire for embellishment. Her dress is black and simple. 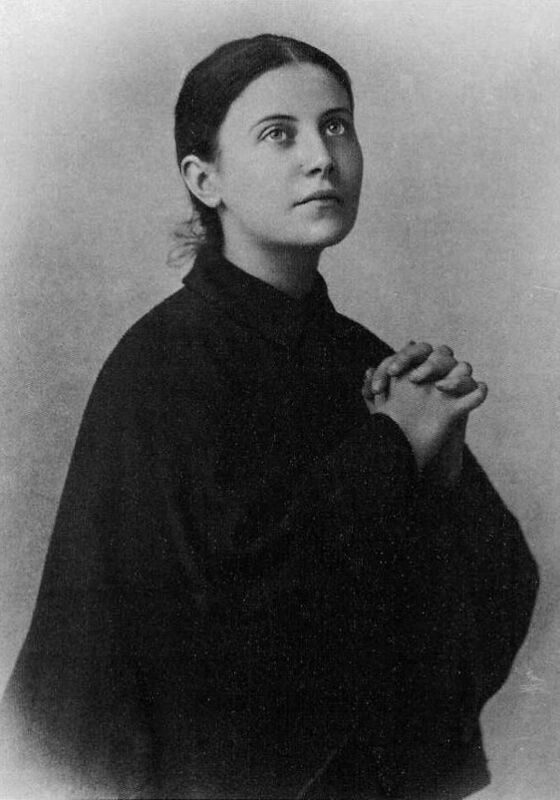 Yet, Saint Gemma combines an extraordinary dignity with a virginal purity which is impalpably reflected in the luminous splendor of her skin. One could say that her skin is as luminous as her gaze. Moreover, her gaze reflects total uprightness. It is that of a mystic immersed in that which she sees. Even we discern something of what she perceives. The virtue of fortitude also shines forth in her countenance. When the Faith commands her to do something, her will is unbending. What does she desire? She wants to serve God, Our Lady and the Catholic Church. She forges ahead on this road regardless of the obstacles. She represents the strong woman of incomparable values referred to in Holy Scriptures. Like a rare stone, one readily walks to the ends of the earth to find her. Originally published in the August, 1999 issue of Catolicismo.